Seems like those who have it all, don’t know to be thankful. “We’re not going to make America great again,” Cuomo said while signing a bill dealing with human trafficking. Cuomo’s remark was inexcusable & reprehensible. He owes the nation an apology. He should be ashamed of himself. 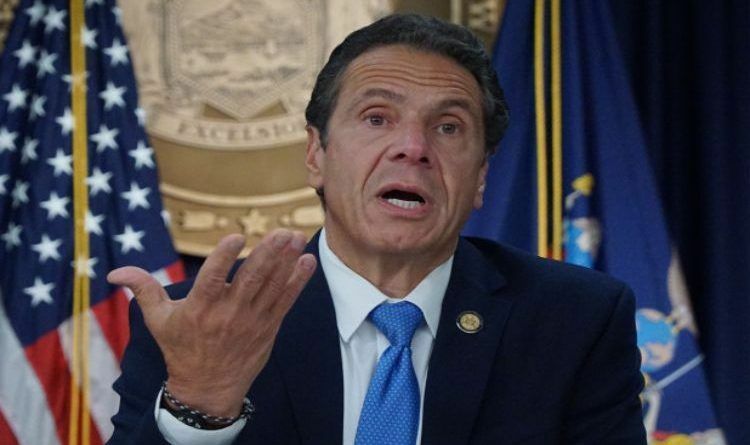 This is why, former Navy Seal and CEO of Bottle Breacher, a company that creates handcrafted 50 caliber bottle openers made by Military Veterans Eli Crane posted a perfect video response to Cuomo’s view of America. “Honestly, I believe his very comments prove once again just how great this country really is,” Eli Crane told IJR. From the viewpoint as a combat veteran, Crane said he finds Cuomo’s comments “and this overall anti-Americanism sentiment that seems to be permeating from the liberal left very sad and delusional” since he’s been to places that would be described as not great. All you really need to do is look at other people’s actions as they attempt to stream into this country by the millions every single year to get a taste of the American Dream. They want a chance to enjoy our freedoms and our liberties. They want the opportunity to experience our prosperity and a capitalist system that is blind to skin color, age and country of origin. Crane continued: “Show me a country that has welcomed more immigrants and enabled more of them to transcend poverty than the USA. One out of every three millionaires in the USA is a first-generation American or foreign-born. What country has done more for the equality of minorities than the USA? You often hear about slavery being the biggest black eye in our country, [but] what you don’t hear is how many Americans died to overturn slavery and set all men free. A reported 360,000 Union soldiers died in the Civil War who fought to abolish slavery. To show some perspective, the U.S. lost around 60,000 men in Vietnam. What country has provided more aid to war-torn and impoverished countries than the United States? Beautiful, well said, well explained, straight to the point. Thank you, Eli Crane, for your video and most importantly for your service and for your very salient points with regard to the Cuomo’s delusions. America is great was great and has a future of greatness! If America wasn’t great and still not great according to them, then why are they living here? Why don’t they move to a country they think is great? Anyone who doesn’t believe this and get your boat or a plane to anywhere they want to go besides America!